The family of Edward Hurak sadly announces his passing on March 22, 2019 at the Gimli Community Health Centre after a year-long illness. Ed will be sadly missed by his brothers - Richard, Alfred, Jerry (Caroline), sisters - Mary Bergman, Joan Kristofferson (Keith) and Betty Lubinski (Andy), and many nieces and nephews who provided him with love and joy throughout his life. He was predeceased by his parents, Joe and Kay Hurak; nephew, Brian Hurak; sister-in-law, Margaret Handford; sister-in-law, Joanne Hurak and brother-in-law, Ray Bergman. Ed will also be missed by a large circle of relatives and friends. Ed had a terrific sense of humor and often played the role of family comedian, livening things up with his quick wit at numerous family gatherings. 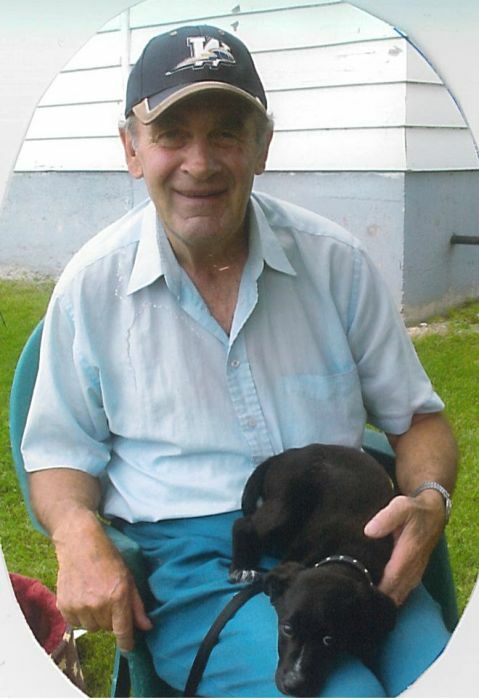 Ed had many interests, especially his love of nature, taking daily walks through the fields and forest with his beloved dog, Bear, who passed away last fall. In earlier years, Ed was a member of the Camp Morton Angels hockey team and also played accordion in a band at many weddings and other community events. He was a devoted son, who deeply loved and cared for his mother right up until she was placed in Betel home. Ed never missed watching a Winnipeg Blue Bomber, or Winnipeg Jets game. Towards the end, he would always ask if Winnipeg was playing that evening. Ed greatly loved his family and would provide his help and assistance when anyone was in need of his services often before being asked for it. The family would like to thank staff at EMS, Home Care and the Gimli Community Health Centre who provided an excellent standard of high quality care throughout his prolonged illness including Dr. R.C. Patel and Dr. Sara Blelloch. We would also like to thank Ed’s many visitors including Father Art Seaman and members of St. Benedicts and St. Michael’s church community and his many friends and relatives for their support and compassion. In keeping with Ed’s wishes, cremation has taken place and a Memorial Mass will take place on Friday, April 5 at 11:00 a.m. in the St. Michael’s Roman Catholic Church in Gimli Mb. In lieu of flowers, donations can be made in Ed’s memory to Interlake Eastern Health Foundation, Gimli Hospital, Box 5000 – 120 Easton Drive, Selkirk, MB R1A 2M2, or a charity of your choice.